20 September 2012 InHouse Magazine: Your Client Wants a Passive House? | Sustainable Engineering Ltd.
Library 20 September 2012 InHouse Magazine: Your Client Wants a Passive House? 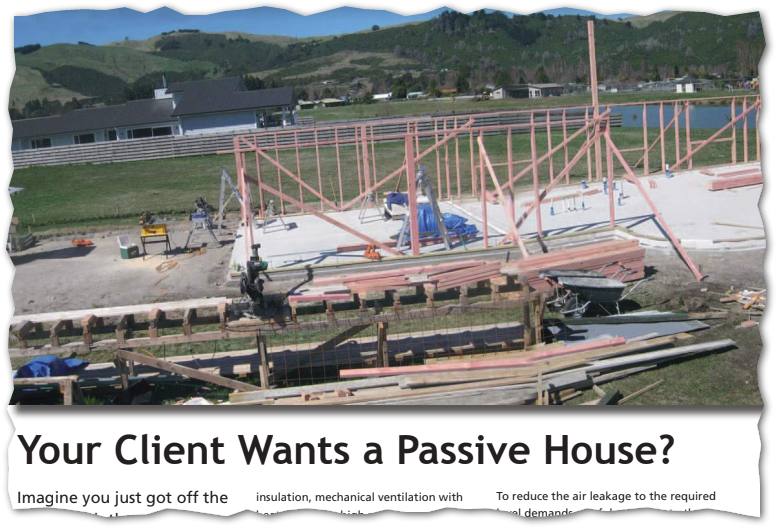 20 September 2012 InHouse Magazine: Your Client Wants a Passive House? We drafted this article for InHouse Magazine back in 2012 on our first Passive House project, Passive House Taupo. Kim Feldborg, who is now a friend of ours, has designed an incredible home up there. Essentially, we did the Math and Physics modelling for the building for him. Great project, beautiful build, and a large home that requires almost no heating to stay above 20°C all year round with fresh clean dry air all throughout.